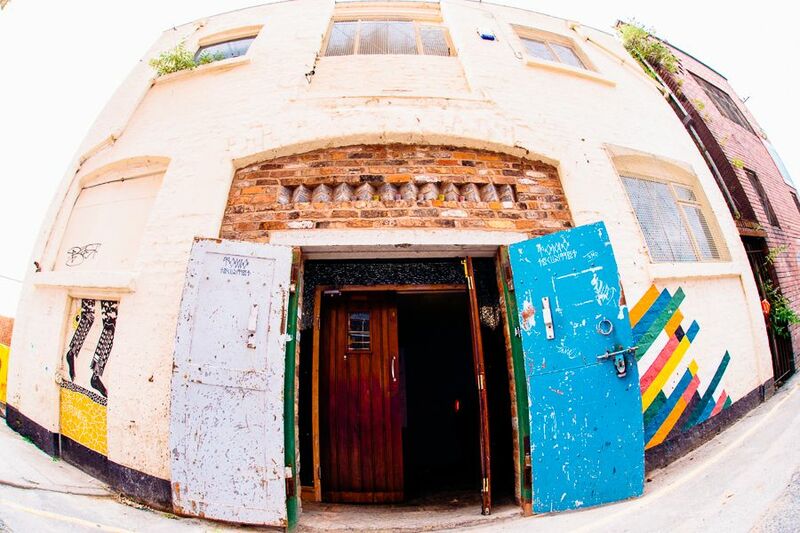 As another popular Liverpool venue comes under threat, Getintothis’ Jon Davies meditates on the struggle for creative spaces and venues in the city. It has been a bruising line of disappointments for the underground music scene with venues closing in Liverpool, beginning with Wolstenholme Creative Space deemed unfit for purpose by 2013 and this year finalising the long goodbye of the era-defining Kazimier. While we are not mourning the end of nightlife in Liverpool, far from it, with a number of artists moving northwards and venues like Buyer’s Club and Maguire’s emerging as suitable platforms for a good portion of gigs and club nights, Liverpool city centre is quickly becoming bereft of safe spaces for experimentalism, DIY values and cross-cultural dialogue. 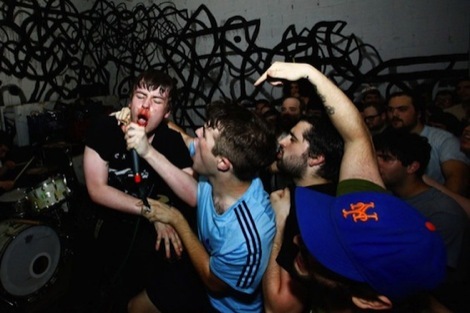 With the threat of closure to the relatively young 24 Kitchen Street reported earlier this week, it is more pressing than ever to ask why this is happening, and what can be done to protect our independent music scenes. The future for Kitchen Street looks likely to become a depressingly familiar story; a derelict site turned cultural hub regenerating an unused area for it to be shut down by noise complaints (yet to be lodged) from residents (yet to reside) of an apartment complex (yet to be built). The response from the music community so far has been heartfelt, but myopic, as Kitchen Street’s potential demise is a well worn path of conflict between developers and sound culture. The buzz that the emergence of The Baltic Triangle gave many a sense of hope, with a seemingly workable relationship between culture and entrepreneurial pursuits. Incendiary club nights like Less Effect and Abandon Silence, the inimitable PsychFest and locally curated exhibitions could appear within metres of a digital business conference or science fair. However, once the excitement settled down, it became clear that interests lay more with the more lucrative craft ale festivals, beardathons and high-rent startup studios than an accessible space for the underground to nestle itself in. While arguing with the cultural value of the aforementioned strawmen may be for contestation, we fail to recognise the importance of safe spaces like 24 Kitchen Street and its vitality with making the city’s spaces welcome to all. Last week in Oakland, California, a fire at the Ghost Ship night club took the lives of 36 people, including 100% Silk producers Cherushii and Nacht, and one half of Them Are Us Too, transgender artist Cash Askew. Journalist for Pitchfork and New York Times, Sam Lefebvre pointed out that with the dwindling safe independent spaces meant that underground, experimental performers were forced towards unsafe venues that are cheap and autonomous. In these time where money and opportunity polices our right to freedom of expression, these spaces aren’t just for free jazz and IDM nights but accessible forums for the poor and marginalised in society. The organic population of spaces like Drop The Dumbells, Mello Mello and Wolstenholme Creative Space were driven by the underground determined to make space for gigs that were accessible, however certain regulations of safety were, not overlooked, but deprioritised in order for spontaneity to thrive. While thankfully nothing serious happened in my experience of these venues, the investment to create healthy spaces were beyond budget, whilst for others it proved futile anyway as properties were closed at the height of their popularity. Established a mere three years ago, founders of 24 Kitchen Street Ioan Roberts and Saad Shaffi have spent the past three years putting in the groundwork of a fully functioning, flexible creative space, with one of the best sound systems in town, necessary soundproofing and safety provisions, a friendly bar and an organic feel that both has its own identity and provides a blank canvas for bespoke events. But it’s beyond that 24 Kitchen Street is a unique meeting point of eclectic needs, a safe sanctuary for outsider musicians from grime and acid techno to noise and metal, a platform for events like Between The Borders that bring together migrants and political activists, one of Liverpool’s finest LGBTQ+ nights in Sonic Yootha, and one of the few venues that I’ve seen welcome the Toxteth community into city nightlife. To lose this vital pivot between town and the Baltic to yet another property development would go beyond a shame but a real signifier of Liverpool intent of using grassroots culture as a canary for private interests. While most cities would see the demise of several venues in the short space of two years a tragedy, Liverpool’s music scene has gained a lot of perspective through the continual success of its metropolitan festivals like PsychFest, LIMF, Sound City and Liverpool Music Week. This on top of the surrounding infrastructure in the city, from LIPA as its talent academy, localised music magazines like Getintothis and Bido Lito!, record labels and management agencies all the way to Liverpool specific funding bodies, the impressive topology of music services provides the backbone of arguments as to why Liverpool has long been championed as the home of music. Fair enough, but the nature of academic musicians studying in Liverpool as part of the course to a career leads to a hollowing out of gigs with organic groundswell, only to move out, or leapfrog the city in favour of the festival circuit. Similarly, the height of expectation garnered by management and journalists alike create simulated bubbles of popularity and a quick burnout of musicians unable to make the jump. Liverpool’s branding as the home of music may well be propped up by its heritage and its magnetism to the stars of tomorrow, but the space for spontaneous creativity, and meaningful community must be protected, or lost in the shortsighted pursuit of enterprise. Independent venues, in their size and relative low spectacle, temper expectations and provide natural space for bands to try things out, develop their audience and identity and, most importantly, fail sometimes. As discussed regarding support slots at cavernous venues like the Invisible Wind Factory, sorely missing from several bands is the feeling of intimacy with the audience, the intense feeling of witnessing something less than a foot away from your standing. Liverpool’s councillors have long been prostrate in protecting its nightlife, as shown by the Noise Debate held at Static Gallery back in 2012 . The music scene, from festival heads and promoters, funding bodies and institutions, musicians and journalists alike have been lacklustre in the response similarly; as we celebrate the Invisible Wind Factory and the prospective regeneration of the north docks, Mayor Joe Anderson has already outlined intentions of another creative quarter – ‘The Atlantic Corridor’ – which seems more likely to inflict a predictable fate to venues like Drop The Dumbulls and IWF, favouring safe enterprise than reflect the creativity of Liverpool’s liminal spaces. This self-reflection and critique of Liverpool’s music scene is necessary, but fruitless without a plan of action. Most urgent is to support 24 Kitchen Street in whatever action they intend on doing, by attending their many esoteric events. In the long run Liverpool’s music scene should band together, create an inter-scene movement and remind councillors, and the industry built on top of this city why the most creative young minds move here. Then, it must strategise because something can be done. In Berlin, nightclubs have lobbied to have their businesses protected against newly moved ‘nimby’ residents, while in Australia an act called Agent Of Change that better protects venues from noise complaints. Closer to home we await the impact of London’s first Night Czar Amy Lamé. In the forefront of each other’s minds should not be that there will be another eureka moment like the Kazimier around the corner as we know what has become of Wolstenholme Square, but that each of us can take part in protecting Liverpool’s rightful place as one of Europe’s great music cities. The Getintothis photographic team present their most visually stunning images from The Kazimier’s mighty reign. Liverpool MP Steve Rotherham spoke about the issue of the war on Liverpool’s creative spaces at the Off The Record conference. He said that we “can’t just look back and squeeze more out of The Beatles’ legacy” and that “real estate becoming expensive, forcing venues out of city centres” is a very evident problem, and “music venues acted as a catalyst to make areas more desirable”. He expressed interest in “finding cheap rehearsal space and venues” and “building a future – bands onstage and those behind the scenes”.